Apple filed suit against Apple Story Inc. and related company Fun Zone Inc. late last month, but kept court documents sealed until a judge released them to the public on Thursday. Reuters reports that Apple had wielded U.S. trademark counterfeiting law to keep the infringement lawsuit under wraps until seizure orders had been executed. The filing notes that Cupertino, Calif., company sent representatives to the Apple Story and Fun Zone locations to buy iPod, iPhone and iPad cases and iPhone stereo headsets on "multiple occasions over several weeks." The counterfeit goods carried Apple's logo and included packaging that was "nearly an exact duplicate" of Apple's products. "Defendants are trading on and receiving the benefit of the goodwill Apple has established in the Apple trademarks through considerable labor and expense over many years," Apple said in the complaint. "On July 27, Apple executed several ex parte seizure warrants —allowing the company to seize the items —that swept up goods from both stores that bore the Apple logo," the report wrote. U.S. District Judge Kiyo Matsumoto has also granted a request for a preliminary injunction against sales of the knock-off goods at the two stores. 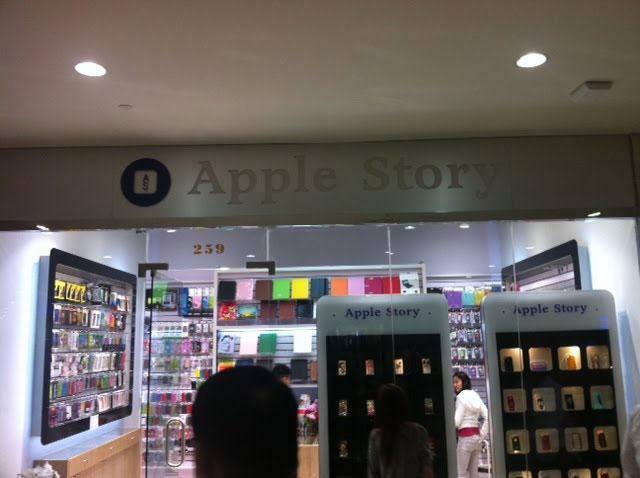 "Apple Story" store in Flushing, New York. Credit Greg Autry via BirdAbroad. In the complaint, Apple asked Apple Story to change its name, but Matsumoto has yet to rule on the request. According to the report, Apple is also seeking a list of all customers that purchased or sold the counterfeit goods, an order to destroy an remaining fake products and triple monetary damages. The Apple Story and Fun Zone stores are both owned by Janie Po Chiang. Fun Zone manager Jimmy Kwok has also been named as a co-defendant in the suit. Court records are said to show that the parties are "moving toward an agreement." 50 undisclosed individuals and businesses are also included in the suit, indicating that Apple is looking to crack down on the counterfeit Apple product market. Overseas unauthorized vendors, especially those in China, have also faced recent scrutiny. Numerous fake Apple Stores in China have had to close because of government inspections after reports of knock-off retail stores drew international attention. One store in particular had employees who wore blue t-shirts with the Apple logo and claimed to work for Apple. 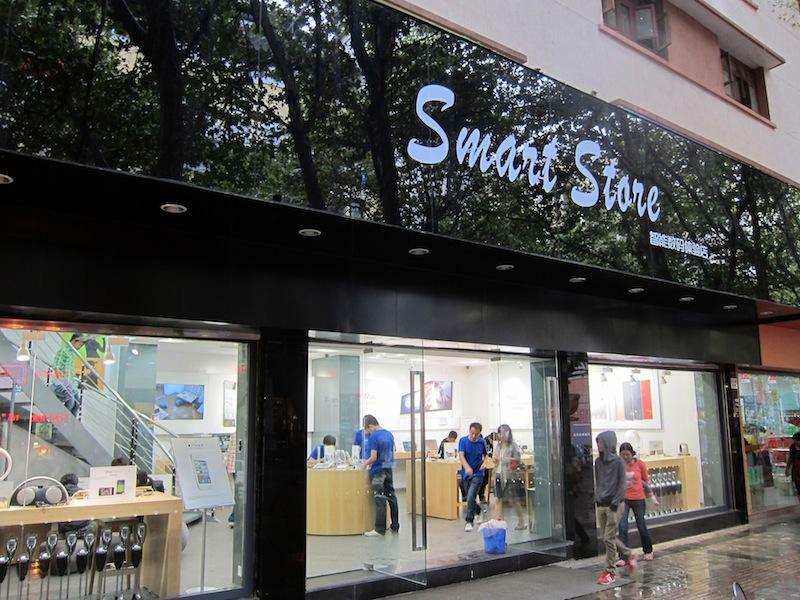 That store has since changed its name to "Smart Store," though the interior appears to remain unchanged. Meanwhile, a number of similar stores have been forced to close after it was discovered that they lacked official business permits. Apple has been vigorous in protecting its brand over the years, as the company is known for inspiring strong brand recognition and loyalty. In May, a survey rated Apple as the world's most valuable brand with an estimated value of $153 billion, nearly half of the company's current market value in terms of market capitalization.